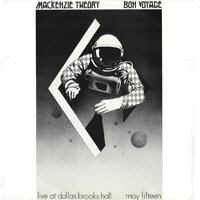 "Like an Australian bred mixture of Canterbury prog and Mahavishnu fusion, Mackenzie Theory's music is that kind that grabs you instantly. Be it by the presence of an electric viola, or be it for the fiery guitar playing, this stuff is truly hot. … the music that you hear is made even more impressive by the fact that it was recorded live! Completely instrumental, the long improvs will remind you of the extended Caravan jams, only that they've replaced the organ for the already mentioned viola, in tandem with some tasty guitar playing, which'll most surely remind you of Mahavishnu." Prior to forming Mackenzie Theory, Melbourne-born Rob Mackenzie had played as a guest guitarist with a number of bands, including Friends and Billy Thorpe and the Aztecs. Rob was a natural and gifted musician. He came from a musical family, and had been brought up playing a wide variety of musical styles. During his teenage years he became a highly proficient and inventive guitarist, although remarkably he never read music. Cleis Pearce, who was born in Sydney, moved around Australia widely with her family as a child. She went through a very intensive and conventional regime of classical music training on violin, and as the eldest in the family, she says she bore the brunt of her parents’ high expectations. By the time she started university the family was living in Tasmania, but around the age of 18 her relationship with her family reached breaking point, so Cleis left home and headed to Sydney. For a while, Cleis says, she was more or less living on the street. One of her first encounters with the rock world was when she attended the Pilgrimage For Pop at Ourimbah in January 1970, and there she was befriended by people from Sydney who offered her a place to live. Back in Sydney, her freewheeling existence gradually led her to the Sydney underground music scene and she became a regular visitor to the fabled Arts Factory in Darlinghurst. One fateful night in September 1971, Cleis attended an Arts Factory performance by a trio from Melbourne. She was immediately enthralled with the music and playing style of the young guitarist, Rob Mackenzie, and when she introduced herself Rob invited her to join them in a jam at the following night's performance. This she did, and on the strength of that one evening’s jamming, Rob obviously realised that he had found a kindred spirit. He invited Cleis to come to Melbourne and form a band with him. After arriving in Melbourne, Rob recruited bassist Mike Leadabrand and drummer Andy Majewski and Mackenzie Theory was born. The name, says Cleis, was simply the expression of Rob’s outlook. He lived for music, constantly talking and theorising about music and its relationship to life, and putting the band together was the embodiment of his philosophies. 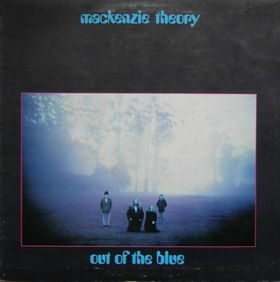 As their popularity grew, Mackenzie Theory made regular appearances alongside the likes of Spectrum, Madder Lake, Chain, The Aztecs and Band of Light. As they became established, they were taken up by rising young pop entrepreneur Michael Gudinski who amanged thm and booked them through his agency, Consolidated Rock. The first MacKenzie Theory recording to be released was the eight-minute "New Song and", which was included on Mushroom's inaugural release, the live triple album The Great Australian Rock Festival Sunbury 1973, issued in April. Cleis recalled the Sunbury performance as a memorable experience. Mackenzie Theory were scheduled to on at midnight, immediately after a blistering two-hour set by The Aztecs, and it's hard to think of two more wildly contrasting acts. (Cleis says she suspects that some expected Theory's set to be a flop). But it fact, Mackenzie Theory proved to be the perfect “chill out” music to follow the Aztecs' sonic assault and they were warmly received. The band attempted some studio recordings, but according to Cleis her complete lack of studio experience combined with what she felt was the unsympathetic attitudes of the studio staff, and she does not have happy memories of the experience. Whatever results there might have been were deemed unuseable, so Mushroom opted for a compromise and recorded a live-in-the-studio set, which was released as their debut album, the highly-regarded Out of the Blue in July 1973. Cleis concurs with Ian McFarlane's observation that it “did not do justice to the band's powerful stage presence” but it is invaluable as a snapshot of the band in performace and as a document of at least some of what they were capable of. In September 1973, both Leadabrand and Majewski were replaced by Paul `Sheepdog' Wheeler from the Aztecs and Greg Sheehan (drums; ex-Blackfeather) and the group was further augmented by Peter Jones on electric piano. The band appeared again at Sunbury in 1974, but early in the year Rob became one of the first rock musicians (along with Glenn Cardier and Greg Quill) to be awarded a study grant from the Australian Council for the Arts. Mackenzie and Pearce planned to travel to the UK, which of course spelled the end of Mackenzie Theory's career. Mushroom Records recorded the farewell concert, which was held at Melbourne's Dallas Brooks Hall, 15 May 1974 but the band were unhappy with the results. Although Rob obtained a written, signed undertaking from Mushroom that the tapes would not be released, Mushroom waited until Mackenzie and Pearce were out of the country and then reneged on their promise, releasing excerpts from the concerts as the ‘farewell' album Bon Voyage. "Once again, the album only offered a superficial glimpse into the band's live power. Nevertheless, epic tracks like `Clouds' and `Supreme Love' were at times sweet and dreamy, at others frantic and chaotic." Mushroom included the band's Sunbury performance of "Supreme Love" on the album Highlights of Sunbury '74 Part 2. In 1994, Raven included "Extraterrestrial Boogie" on the Golden Miles compilation. In the 1980s Cleis Pearce joined Sandy Evans' groundbreaking ensemble Women & Children First. Clies now lives, composes, teaches and makes art in the Byron Bay area and has been an artist in residence with Southern Cross University. Her son Marley was born in 1992. In the 1980s, Rob MacKenzie moved to the USA, where he played for twelve years as lead guitarist with rock'n'roll revival act Sha Na Na. He returned to Australia for a visit in march 2004 and made a one-off performance in Melbourne at the Elwood Blues Jam. (one track only - "New Song And"